Fibre Optics - Fibre optic technology was first demonstrated in the 1840’s by Colladon and Babinet. Fibre optic tubes refract light within glass tubes with little loss of light over the length of the tube.In 1880 Alexander Graham Bell developed the technology to transmit voice signals over an optical beam. 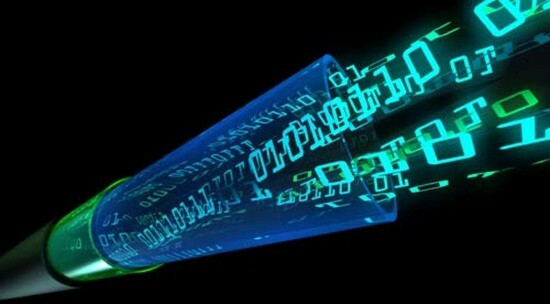 Bundled together, fibre optic cables are immune to electrical interference making them good for use in computer networking. Fibre optic transmissions are also much harder to snoop and are therefore considered more secure.